As a recognized leader in cloud enabling Microsoft Access, sometimes our firm comes across clients who are reluctant to place their data online, oftentimes due to the many stories they hear regarding data breaches or hackers obtaining data. Despite these common perceptions, cloud data security can be even safer than storing data on a hard drive. From your home and business address, to your credit history, it’s all legally available to anyone for just a few dollars, less if they use unscrupulous means. The fact is it’s almost impossible to live in our society without leaving some sort of digital crumbs online. 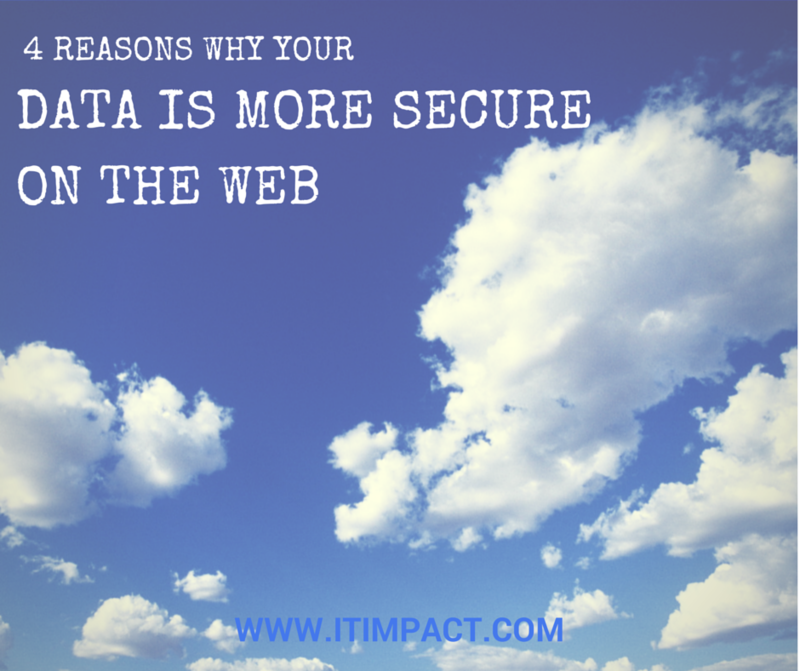 If you trust the internet with your personal and sensitive data, you may wish to consider the reasons outlined here for your business data too. After all, if you lose part or all of your data, it might be a large enough blow that your business may not be able to recover. Hosting companies have sophisticated fire suppression systems built out of inert gas ready to be used immediately and with minimal harm to your equipment. Most small businesses have either water based fire suppression systems or none at all which can destroy you data stored on a hard drive. Hosting companies have 24/7 security with restricted access. Some of my clients have equipment in the janitor’s closet or critical servers placed near windows where they are easy prey to smash and grab. You may have an alarm system but the equipment may be long gone before the police get there. You are just one motherboard failure away from losing at least one day of work, or even longer based on your vendor, current warranty status and where you’re located in the USA. Many hosting companies may spread your data among multiple servers so as to avoid a single point of failure, but that’s if you’re lucky. Probably the best reason to store your data online is to make sure you have adequate backups. I’ve walked into enough offices where the data backups are the responsibility of the receptionist, and too often all they are doing is swapping out tapes without verifying whether the data has been backed up. Instead, consider an online backup service that will encrypt your data with a private key, meaning only you and no one else, not even the hosting company, can de-crypt the files for use. Hosting your data online, even if only for data backups, should be a part of every company’s data strategy to keep it safe and out of harm’s way.